This property is divided on a mill and an independant cottage on a large land of 50 hectares. . . .
Stone barn approx. 100m2 with possibilty to convert to habitation (subject to approval as . 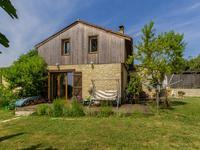 . .
BLACK PERIGORD - Contemporary 4 bedroom house, good location on the outskirts of Sarlat. The house comprises 4 bedrooms and 3 bathrooms. It is semi detached to a stylish house . . .
Renovated and furnished to a very high standard this large property of 9 bedrooms is in a . . . This stone ensemble of three luxurious buildings enjoys a privileged, secluded position and . . . Bright 2-bedroomed apartment on the 1st floor of a characterful building, within easy walking distance of the medieval centre of Sarlat-la-Caneda. The apartment has with it the terrace on the ground floor and a share of the basement. The . . .
BLACK PERIGORD - Character property with 12th century tower, old mill and 2 houses to restore, set in 2,5 acres of land in Sarlat. 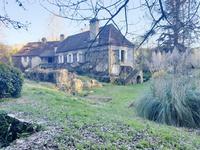 Rare property at 1 km from the historic centre of Sarlat. Main house with about 160 m² of . 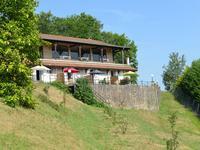 . .
Prime location on the outskirts of medieval town of Sarlat ! Revenue generating property . . .
Rare opportunity in the very heart of the Golden Triangle of the Périgord Noir - Successful B&B business with swimming pool and charming main house. 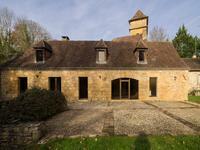 The property is situated close to the old centre of the medieval market town Sarlat, it could . . . 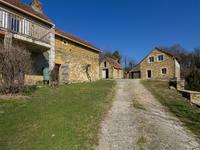 Interesting property with potential in a quiet setting but only 10 km from Sarlat. Main house . 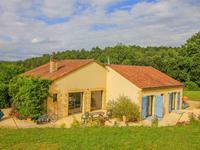 . .
Property on the outskirts of SARLAT comprising 5 studios, a bar / reception, dining room, professional kitchen and large terrace with good views. Property including a restaurant of 240m² with a covered terrace of 63m², 5 equipped studios . . .
PERIGORD NOIR – single storey 3 bedroom house built in 1980 set in half an acre of garden at the end of a country lane close to Sarlat. 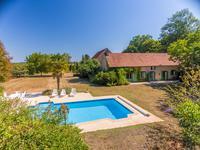 Peaceful but not isolated setting at only 6 km from the famous medieval market town Sarlat. . . . Magnificent country house, exuding French charm and sophistication. Close to Sarlat the uncrowned capital of the Dordogne. 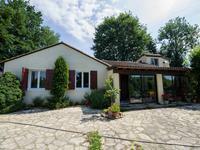 If you are looking for a genuine périgourdine property then this is for you. It has it all : . . .